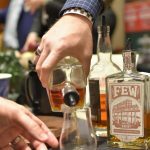 Home » Blog » Events » WhiskyFest Chicago 2017 Recap! When asked how the event has changed over the 10 years Joan has coordinated she had this to say. 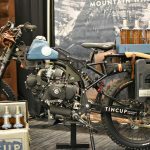 “If my count is correct, 48 of the 87 booths in Chicago were custom displays. 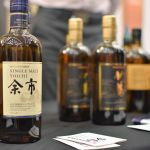 The number of whiskies being offered is also on the increase. 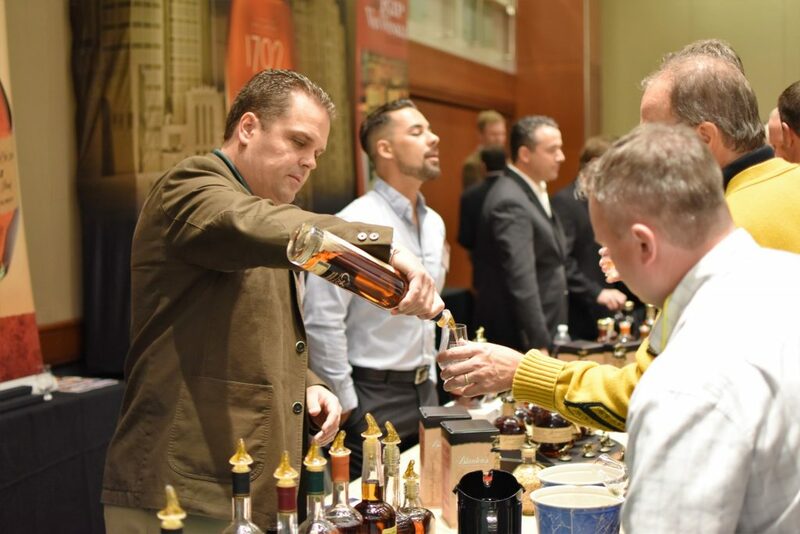 We exceeded the 400 mark at this year’s WhiskyFest Chicago. 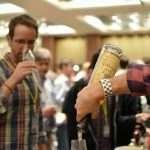 We offer a WhiskyFest app that includes every item being poured, a map of the ballroom, and all the seminars being offered. 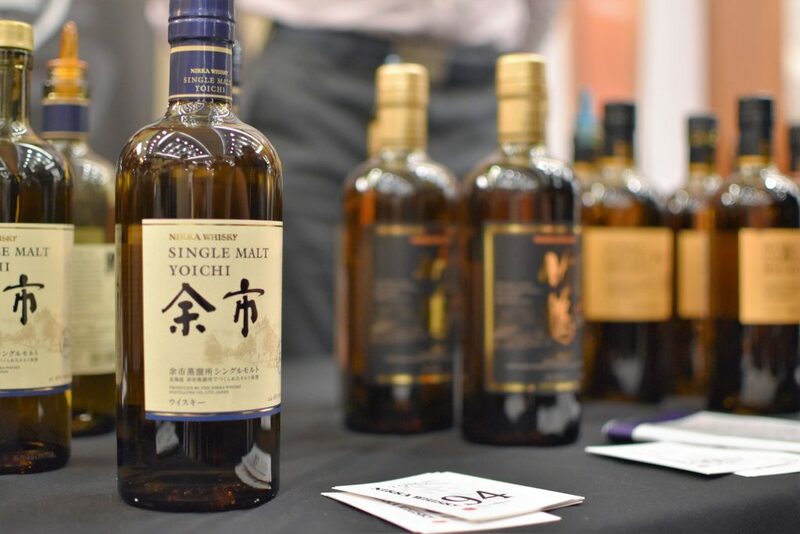 This allows attendees to plan their evening before they reach the event; they can also connect with other whisky lovers through the app.” From an attendee perspective I will say this is one event that is incredibly well-organized and executed. 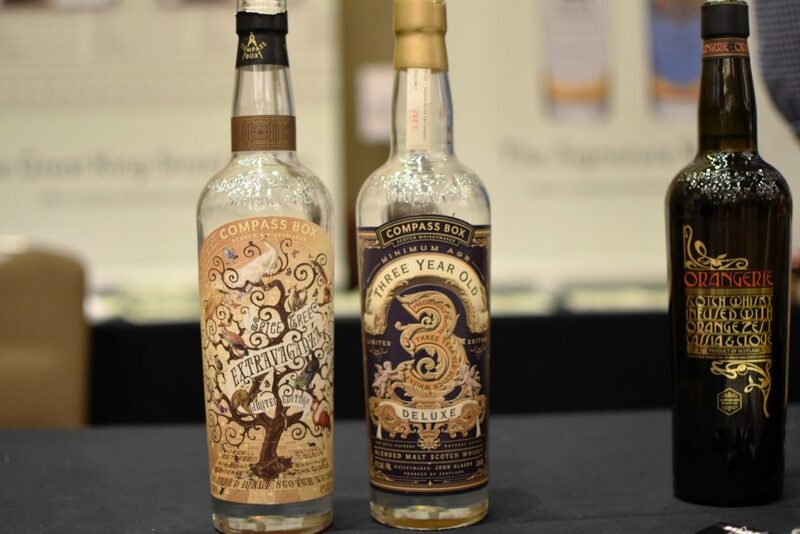 Read our coverage of the 2016 Chicago WhiskyFest, click here! 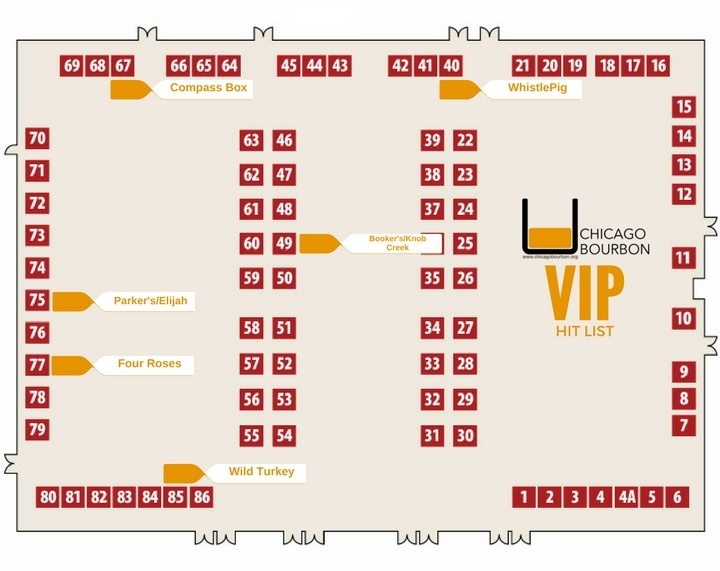 In the days leading up to WhiskyFest I plotted my course to make sure I would hit the VIP pours I salivated over. 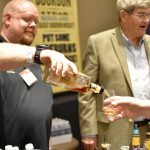 I absolutely had to try new releases from Wild Turkey, Four Roses, WhistlePig, Parker’s Heritage and others. 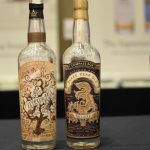 Limited bottles that are either nearly impossible to find or priced just a bit too high to buy before trying. 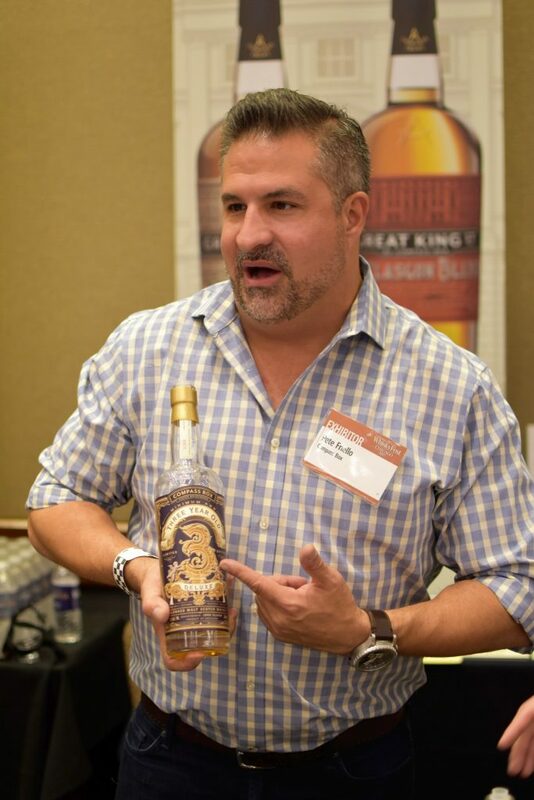 I also hit a few other brands with interesting whiskies and upcoming projects to share. 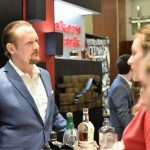 When the doors opened I followed my predetermined path to Wild Turkey where a familiar face was pouring this year’s Wild Turkey Master’s Keep Decades. A bottle I’ve been looking forward to trying ever since Chicago Bourbon contributor Jacqueline Rice told me about it after the 2016 Kentucky Bourbon Affair. Last year’s Master’s Keep 17 year, while well-balanced, was a bit one-dimensional. I hoped Decades, bottled at 104 proof vs last years 86.8, would bring the complexity I was looking for. It could have been that it was poured by Eddie Russell but I really enjoyed Decades. 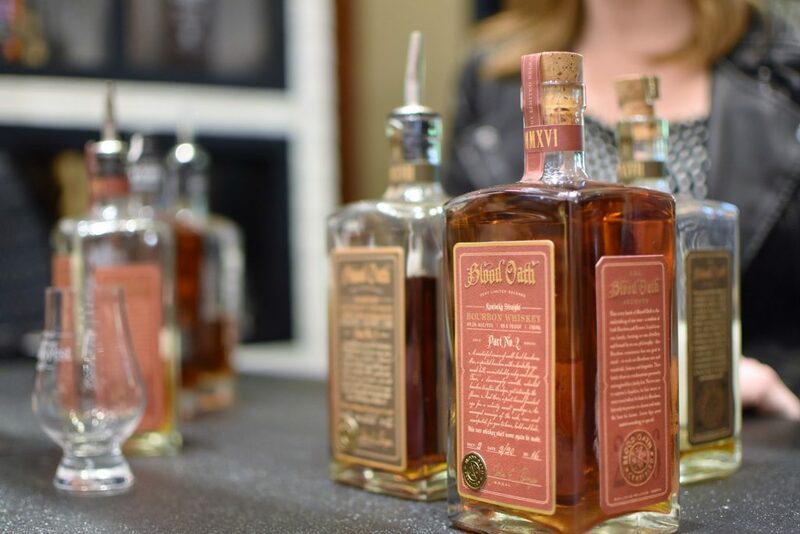 It exceeded my expectations as a standout example of what Wild Turkey can do when they exercise their blending ability to balance 10 to 20-year-old Bourbons. 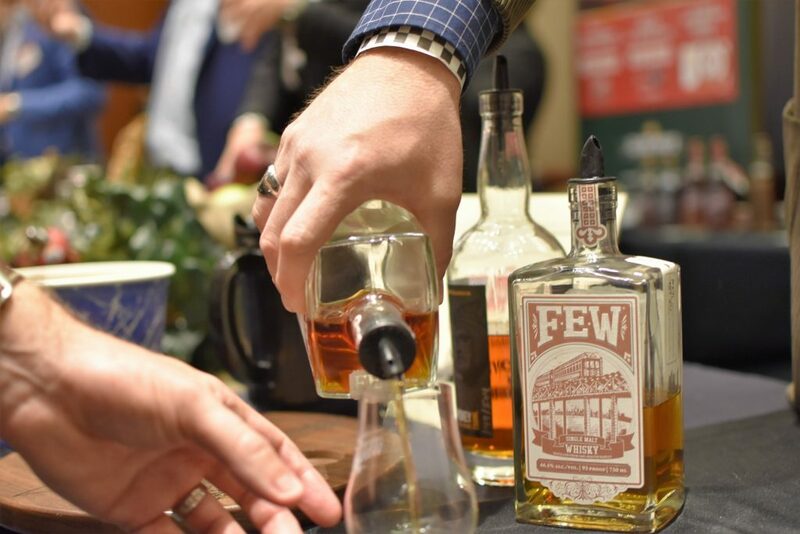 Read our 2016 Kentucky Bourbon Affair recap, click here! 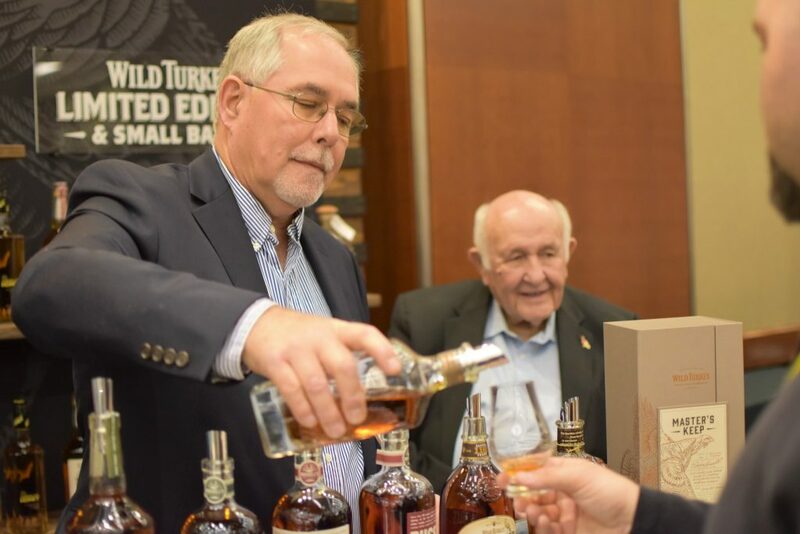 Eddie Russell, Master Distiller Wild Turkey pours Master’s Keep Decades while his father Jimmy Russell looks on. 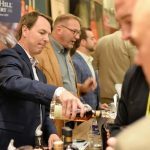 My next stops were to get my Parker’s Heritage and Elijah Craig fix at the Heaven Hill booths. 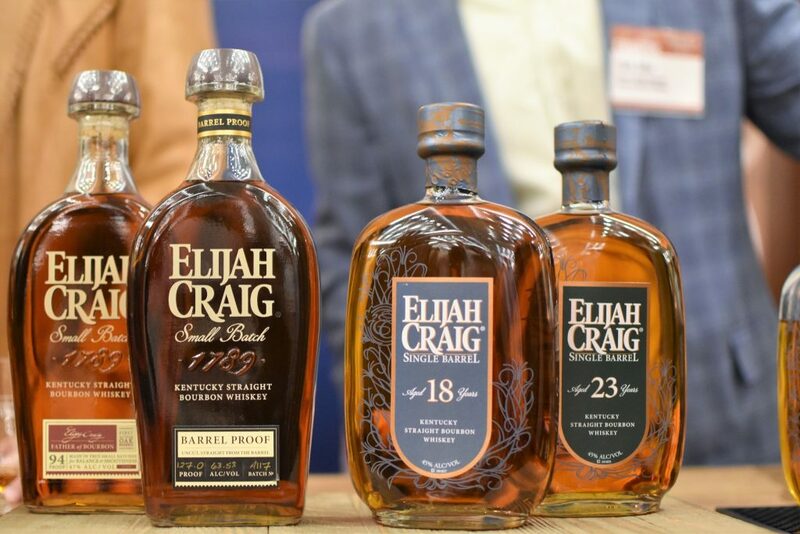 During the VIP hour Elijah Craig Single Barrel 23 and 18 were flowing. I tasted both back to back to see how the extra years might have affected this Bourbon. The 18 is outstanding, again a well-balanced, complex, high corn (75%) / low rye (13%) expression. I believe the extra corn in this mashbill lends to the sweet, ripe, fruit notes and smooth long finish. The 23 is a bit more oaked, a thicker mouthfeel, with a noticeable drop in sweetness replaced by a dry finish. The Elijah Craig 18 wins in my book. 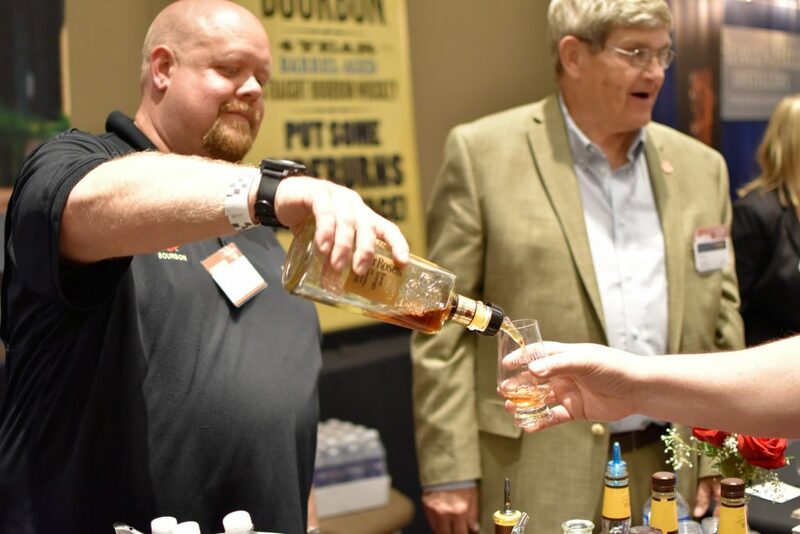 Denny Potter, Master Distiller Heaven Hill, poured the Parker’s Heritage 24 year Bottled-in-Bond. Aged 24 years and bottled at 100 proof this was my first time trying this release. First impression is surprisingly smooth for its age. While Heaven Hill doesn’t publish the exact mashbill for this Bourbon it is a blend of rye and wheat Bourbons. I’m a sucker for wheated Bourbon, it could be the wheat in Parker’s that really grabbed hold of my tastebuds. 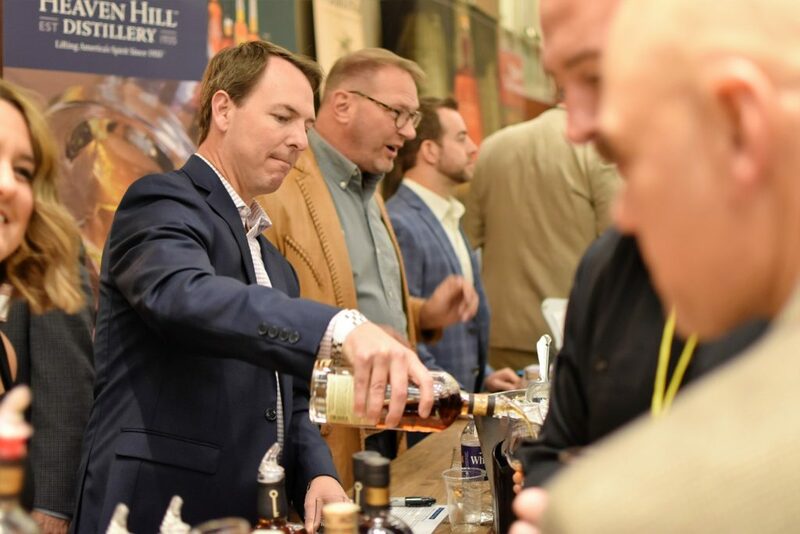 But whatever it was I’m happy I had the opportunity to try it and meet the man who now leads the charge behind this and other excellent Heaven Hill brands. Elijah Craig Small Batch alongside the Single Barrel 18 and 23 year olds. Parker’s Heritage 24 year Bottled in Bond. 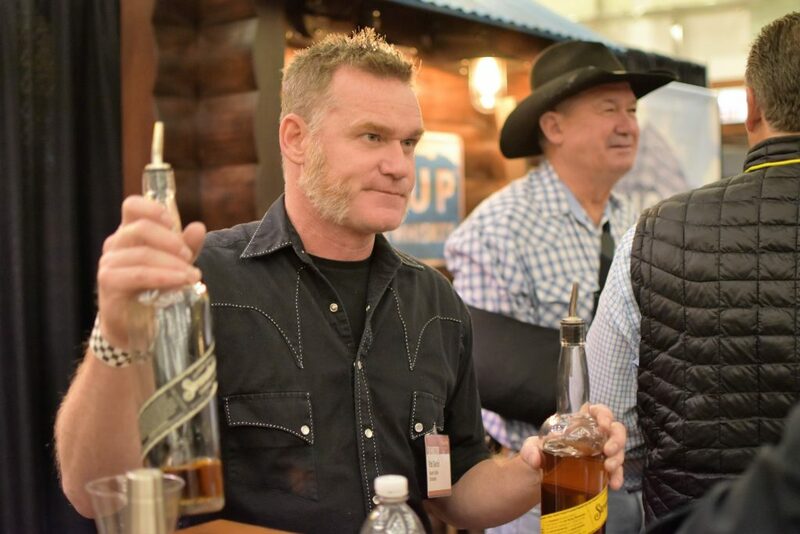 Buffalo Trace Master Distiller Harlen Wheatley poured the Buffalo Trace Antique Collection at the next booth. 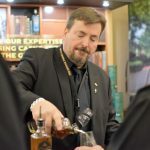 The George T. Stagg is always popular, but not listed on the WhiskyFest menu was the Eagle Rare 17 year Harlen also poured, my personal favorite in the annual BTAC release. 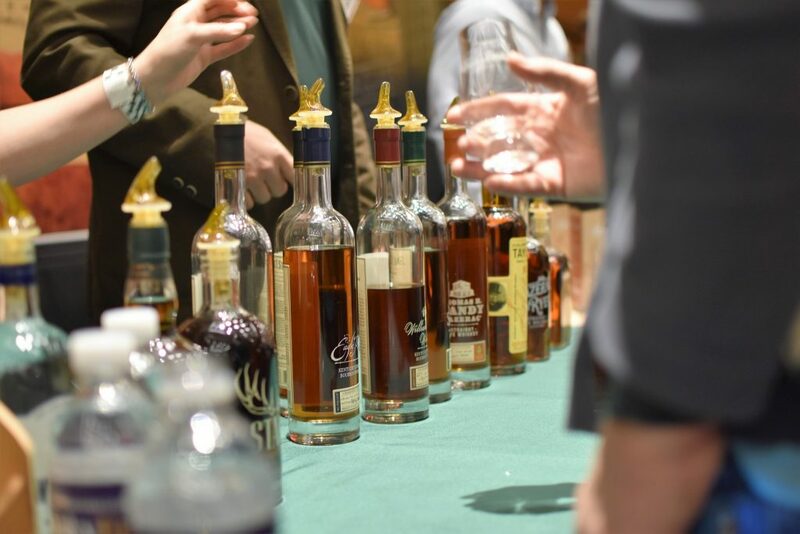 Adjoined to Buffalo Trace was Old Rip Van Winkle pouring the full lineup of Pappy Van Winkle juice. 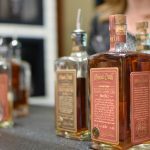 I skipped the line for Pappy 23, not my favorite, and went for a pour of the 15 and 20 while chatting with our Illinois brand reps, some of the friendliest in the business. 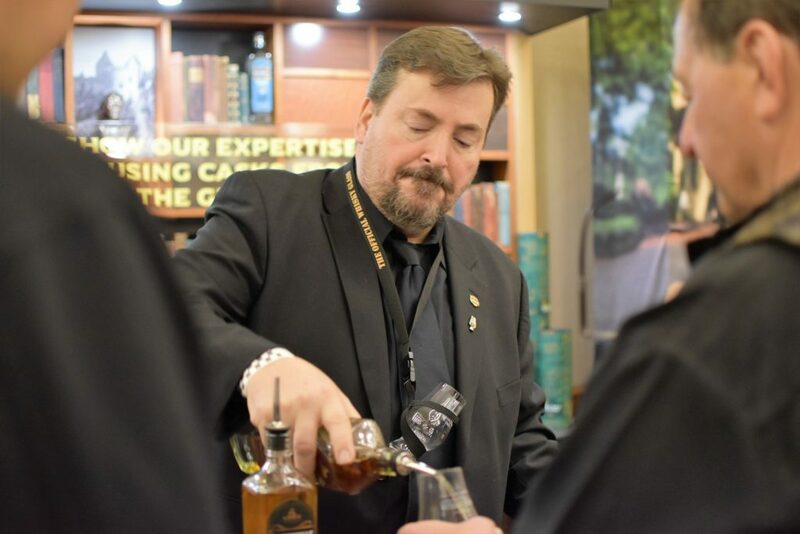 Harlen Wheatley, Master Distiller Buffalo Trace, pouring BTAC Eagle Rare 17. Next up was a Rye that I’ll admit had yet to pass my lips. 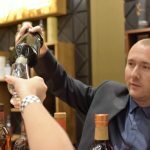 I maneuvered my way to the next aisle over where I found Beam Suntory American Whiskey Ambassador Adam Harris pouring the infamous Booker’s Rye. I accepted my pour from Adam then took a walk around the floor while I sipped. 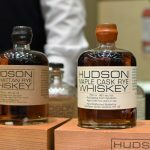 This Rye has received a huge amount of hype and I went in with some speculation. The first sip grabbed my attention, the second, third, and fourth proved the hype is not unfounded. This is one of the best Rye whiskeys I’ve tasted. Unfortunately impossible to find retail and whether it’s worth the secondary market price of $600-$700 is entirely up to you. 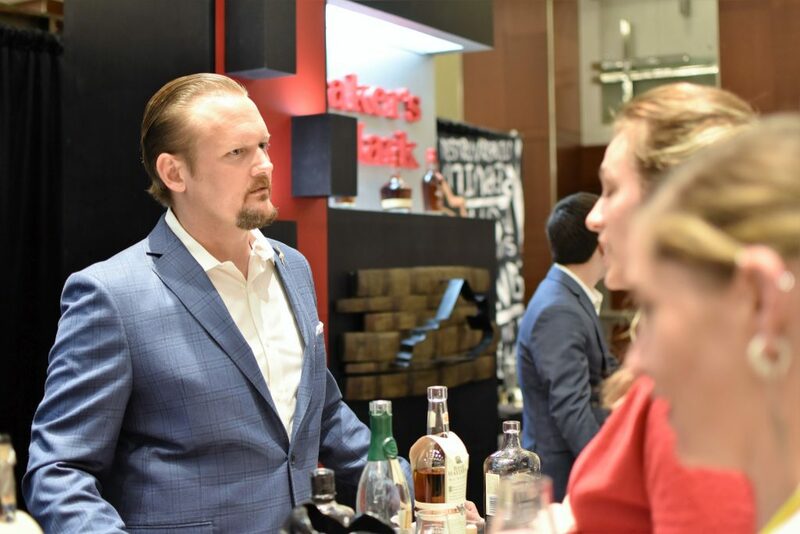 Read our interview with Beam Suntory’s Adam Harris, click here! 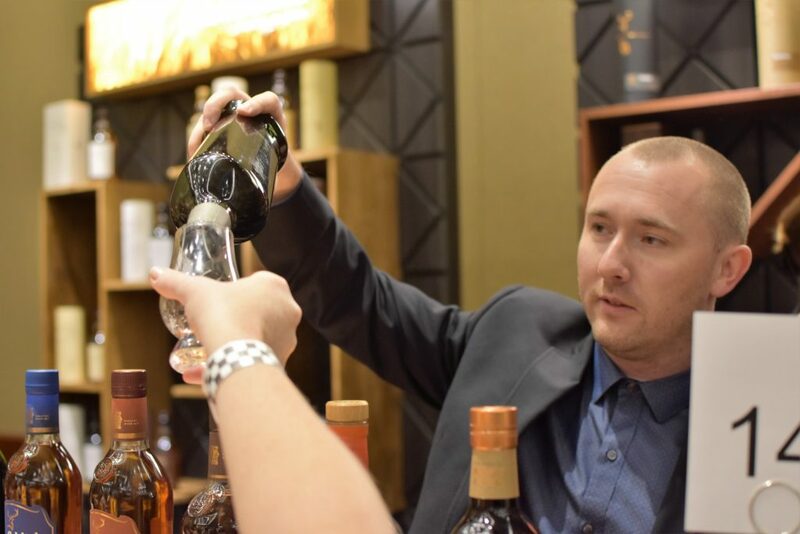 Adam Harris, Beam Suntory American Whiskey Ambassador, pouring Booker’s Rye. Now I said Booker’s Rye was one of the best Rye’s I’ve tasted. I continued my Rye kick by stopping by Redemption to see our buddies Mark Lowen and Eric Rosentreter. They poured me a sample of their 9 year Rye, to compliment their 7 year I was drinking the night before. Mark and I each flashed our Stave & Thief challenge coins from our time in the Executive Bourbon Steward Certification program. Eric and I talked about his time working with the Beverage Testing Institute in Chicago. If you’re interested in learning how one of the most respected panels in the world judges spirits, sign-up for our email list. 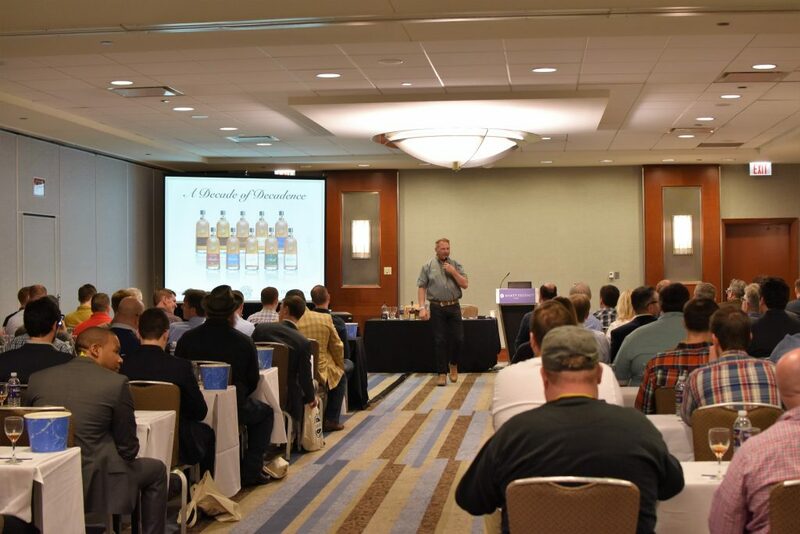 I’ll be sitting on their American Whiskey judging panel this August and will report back with a full rundown! 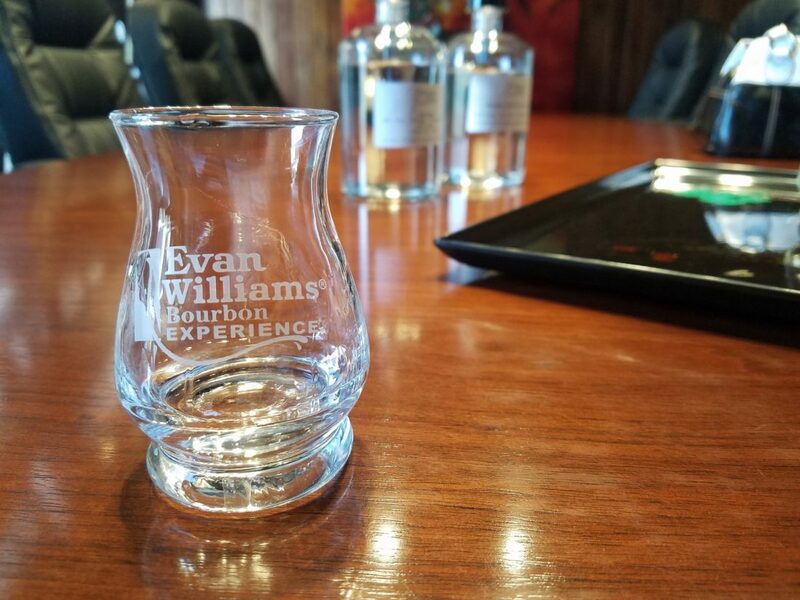 Read our first hand account completing the Stave & Thief Society’s Executive Bourbon Steward Program, click here! 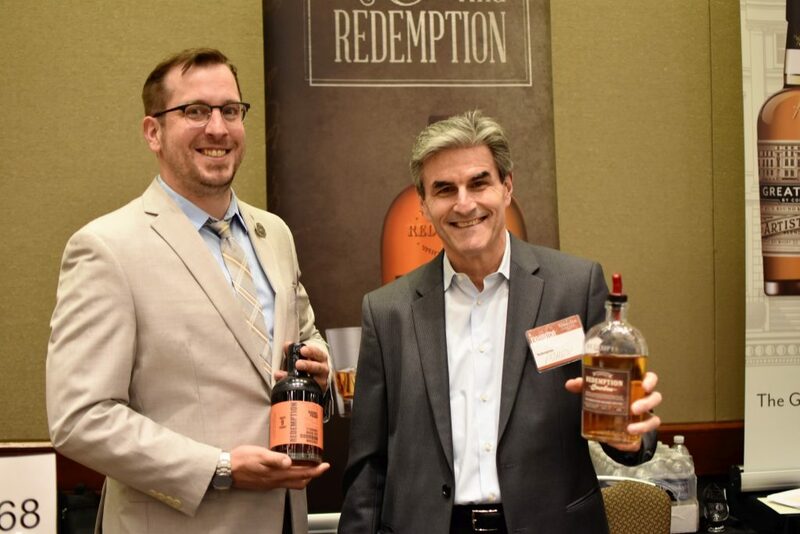 Eric and Mark cradling bottles of Redemption Rye. 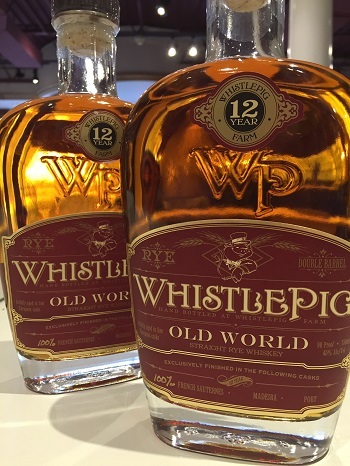 Keeping on my Rye kick I visited the team at WhistlePig for a taste of their brand new FarmStock Rye. This is a Rye I’ve had before, at their Chicago launch party a month earlier at Bad Hunter. At that time I described it’s nose being sweet and sugary, a smooth palate with notes of light cinnamon and caramel, with a nice spicy and long Rye finish. 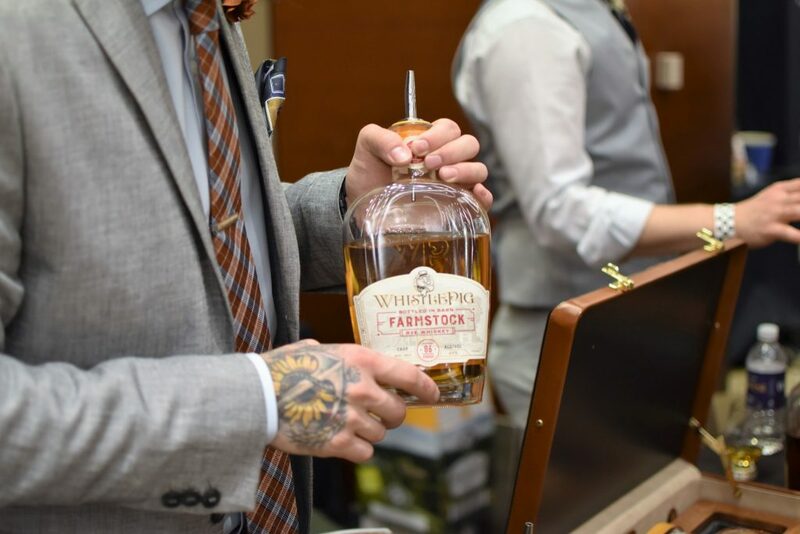 FarmStock is “Bottled in Barn” at 86 proof. 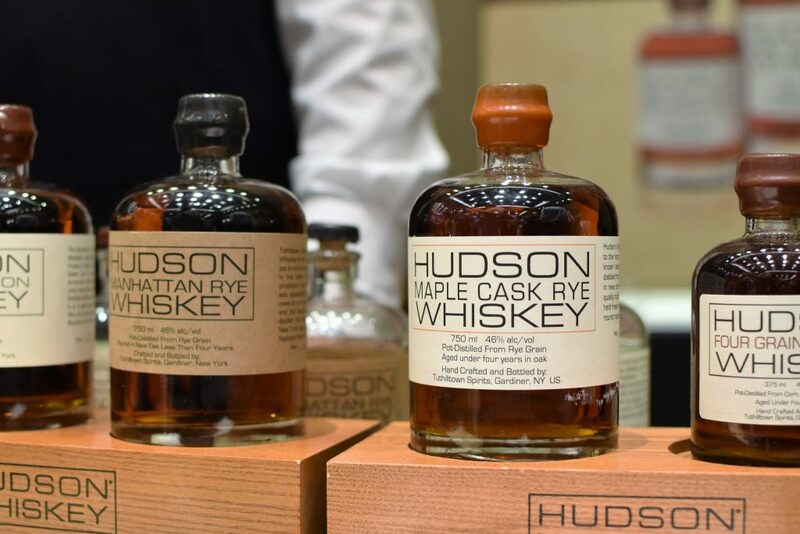 A blend of 20% 1-year-old Vermont rye, 49% 5-year-old Canadian rye, and 31% 12-year-old Indiana rye. The Vermont rye portion is the first rye release grown, distilled, aged, and bottled by WhistlePig on their farm. Future releases should contain increased portions of the Vermont rye. 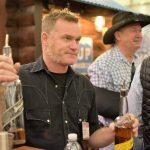 UPDATE: WhistlePig just won Whiskey of the Year at the 2017 San Francisco World Spirits Competition with their upcoming WhistlePig Boss Hog IV ‘The Black Prince’ Rye! 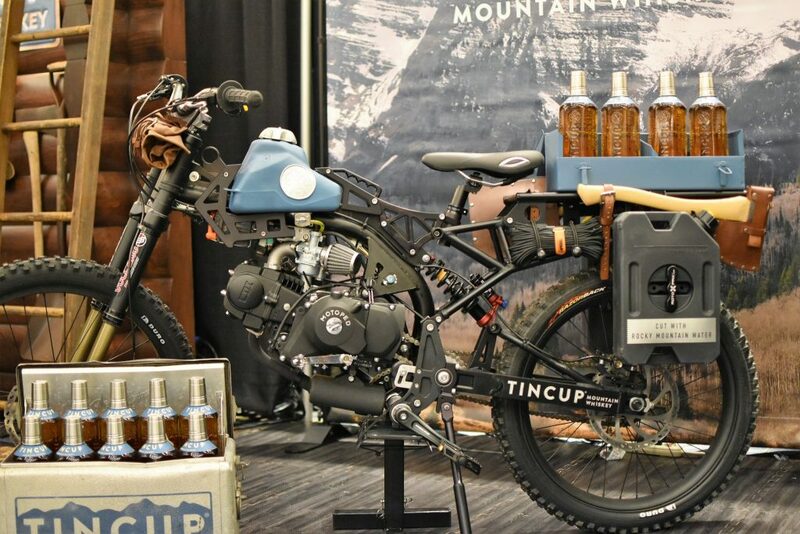 Read our previous article about brand recognition where we discuss WhistlePig’s strategy, click here! As the 9:00 hour drew near I set my sights on two more Bourbon booths. 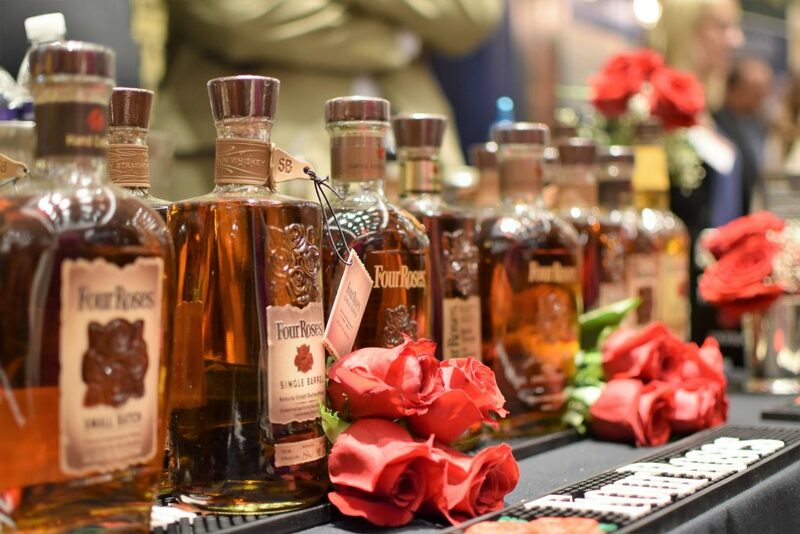 Our local Four Roses reps have been gracious to Chicago Bourbon since the beginning. Brian and Mike pour Four Roses at some great events around the city. 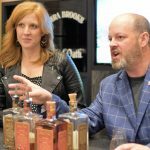 They’ve helped Chicago Bourbon host a Four Roses exclusive tasting where we sampled a bottle of the 2016 Single Barrel Limited Edition “Elliott’s Select”. 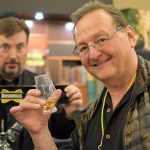 They even invited me to a staff training during Whisky Week where I had the opportunity to meet Al Young and listen to him tell the story of the brand. 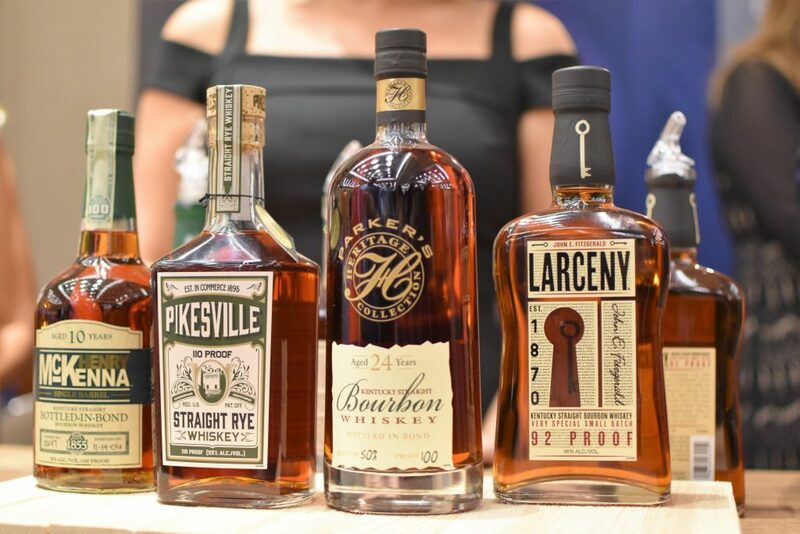 Tonight they poured the mainstays of the brand, Yellow/Small Batch/Single Barrel, and last year’s Limited Edition Small Batch and Single Barrel. Their standard Single Barrel is one of the best values in Bourbon today. It has the depth and complexity of a Bourbon twice it’s price in today’s Bourbon market. The Elliott’s Select takes Single Barrel to a great new place. 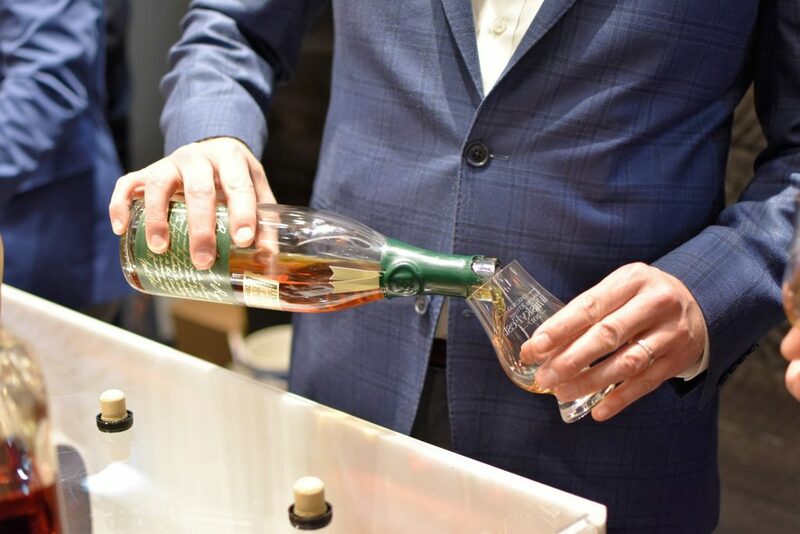 A 14-year-old OESK recipe bottled at around 120 proof it has a bit of sweetness and a spicy finish that continues to evolve as the seconds go by. One of my top Bourbons of 2016! 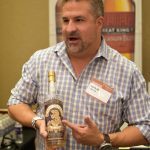 For my last taste of the night I spoke with John Rempe, creator of Blood Oath Bourbon. Blood Oath is a bottling from Luxco, who also produces Rebel Yell and Yellowstone, via Limestone Branch Distillery, among others. John poured me a sample of their latest Blood Oath Pact 3 while filling me in on their new distillery now under construction in Kentucky, Lux Row Distillers. 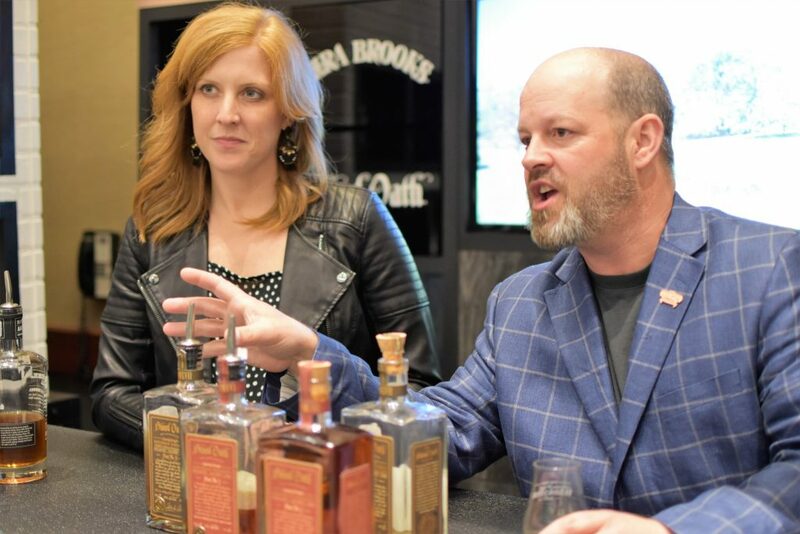 The new distillery, set on 70 pristine acres in Bardstown, will feature a visitors center and event venue and will be a member of the official Kentucky Bourbon Trail. While talking with John and his team I sampled Rebel Yell 10 year and Yellowstone 2016 Limited Edition, finished in wine barrels. Both the Yellowstone LE and the Yellowstone Select stood out to me and I would easily drink again. 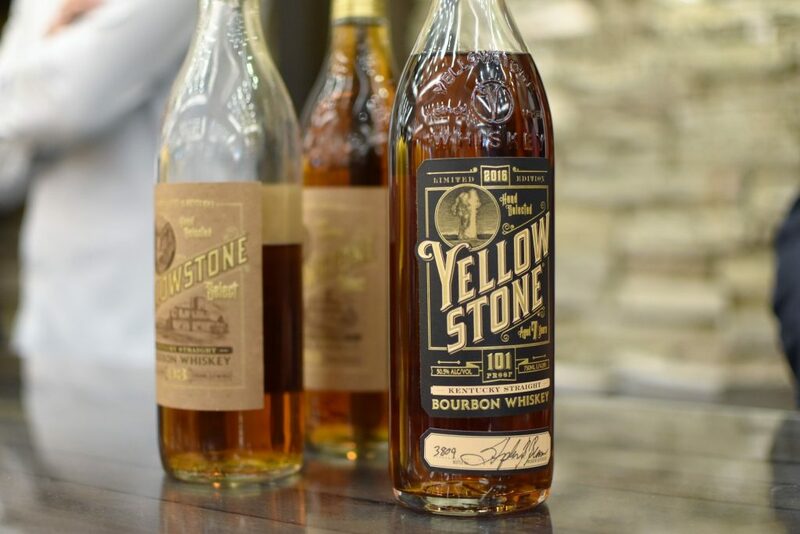 Yellowstone 2016 Limited Edition finished in wine barrels. I chatted with many attendees and found one common theme, everyone has a different favorite. 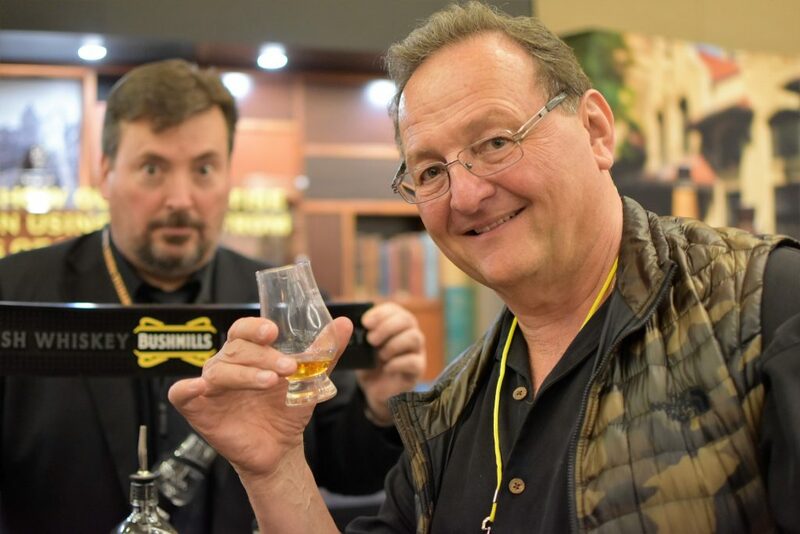 Most people either had tried something new or were willing to take a tip from me and break from their Scotch quest to sample a Bourbon or two. 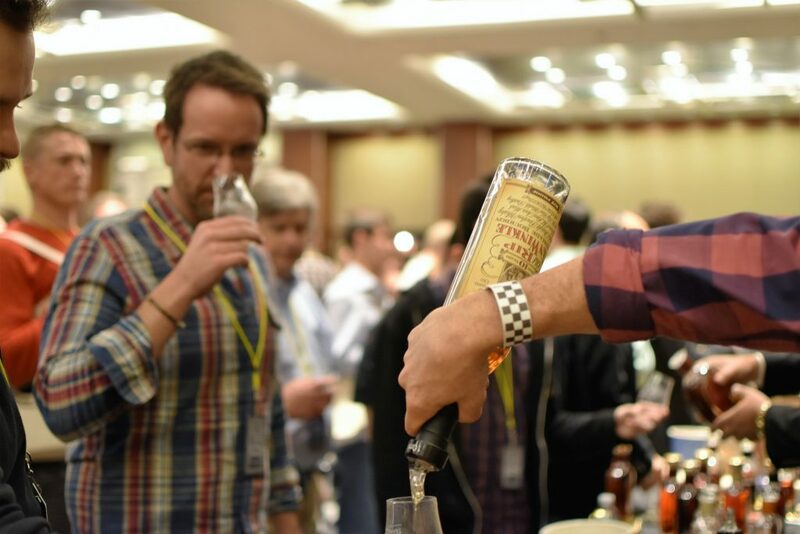 And that my friends is what WhiskyFest is all about. 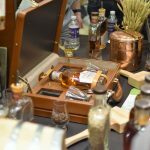 Bringing together lovers of whiskey to both sample old favorites and experience new products; possibly finding a fresh favorite along the way. When I found myself nosing a cup of coffee at the end of the night I knew it was probably time to head home. And when I got home from WhiskyFest…I cracked a beer and sat down for the first time in 5 days to enjoy some family time and give my wife a full rundown. Something I’m sure she was looking forward to hearing at 11:00pm but excitement I just couldn’t contain until Saturday morning. 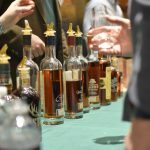 WhiskyFest is not the only whiskey event in Chicago during the week also known as “Chicago Whiskey Week”. 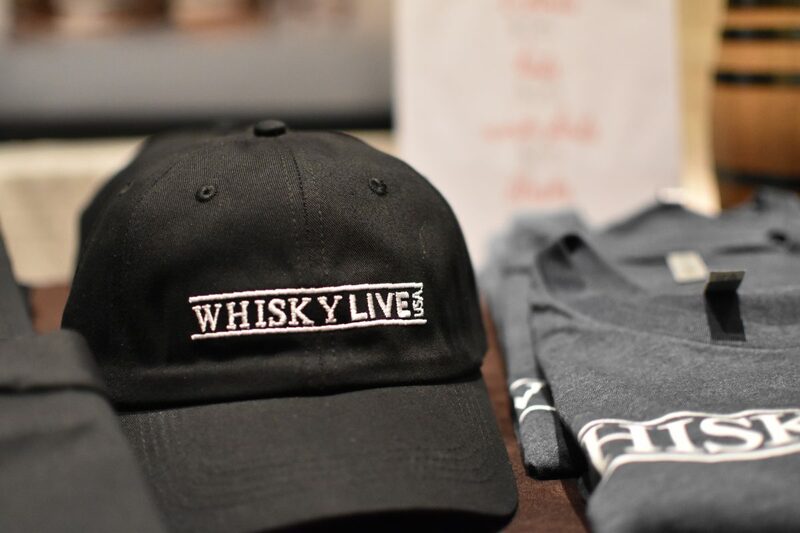 Many Chicago bars and restaurants host visiting master distillers and brand reps for tastings and dinners throughout the week leading up to WhiskyFest. 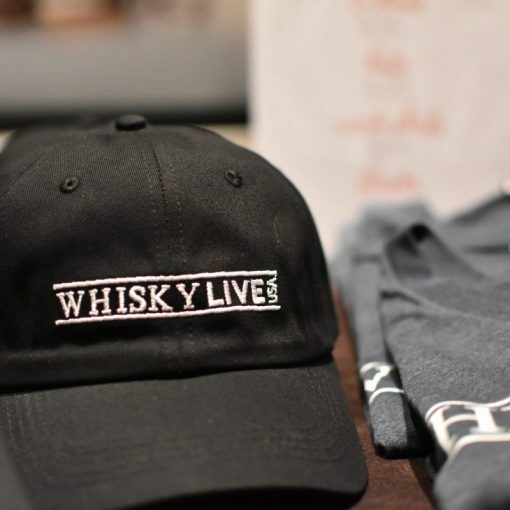 This year we attended tastings at Delilah’s, pouring Whiskey in Chicago for 23 years, and Binny’s World of Whiskies on the eve of the big event. 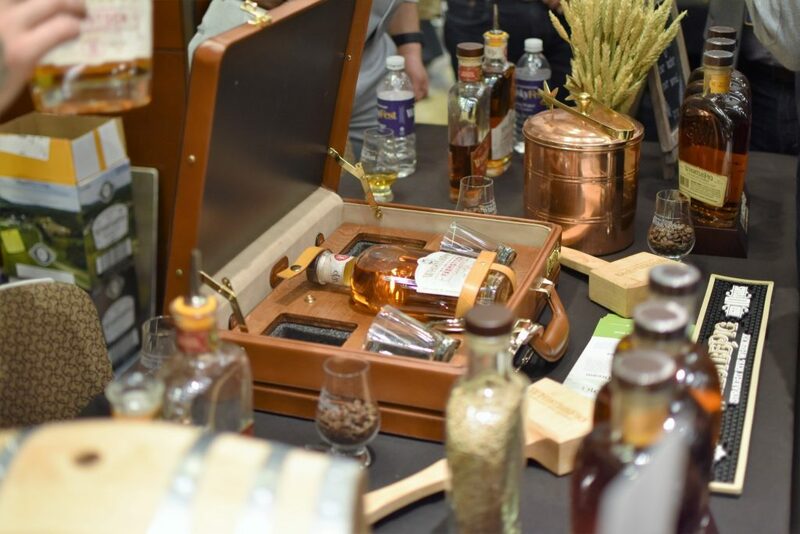 Keep an eye on the Chicago Bourbon Events Calendar for upcoming events all year. Subscribe to our email list below and get upcoming events in your inbox every week! Previous post What Happens When Your Favorite Bourbon Brand Gets A New Owner?